The GoughNuts TuG was designed to address the simple but serious issue of SAFETY. 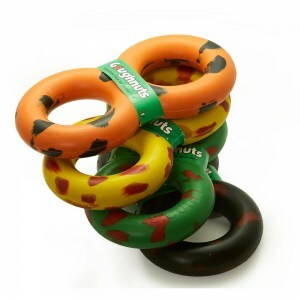 The GoughNuts TuG was designed knowing that safety and fun go hand to mouth (a dog's jaw)! 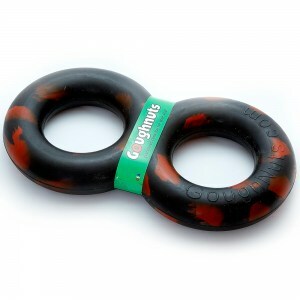 The Goughnuts TuG is an interactive tough, durable product. Please continue to rely on our GoughNut Rings (that have a safety indicator) for constant power chewing. 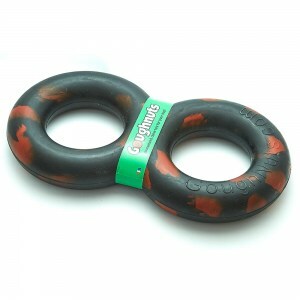 The GoughNuts TuG Original is for larger dogs. The Tug is 9 inches length, 5 inches in width, and has a 1.375 inches cross section. Our goals remain the same in that we want to provide the safest possible products that are durable and fun. 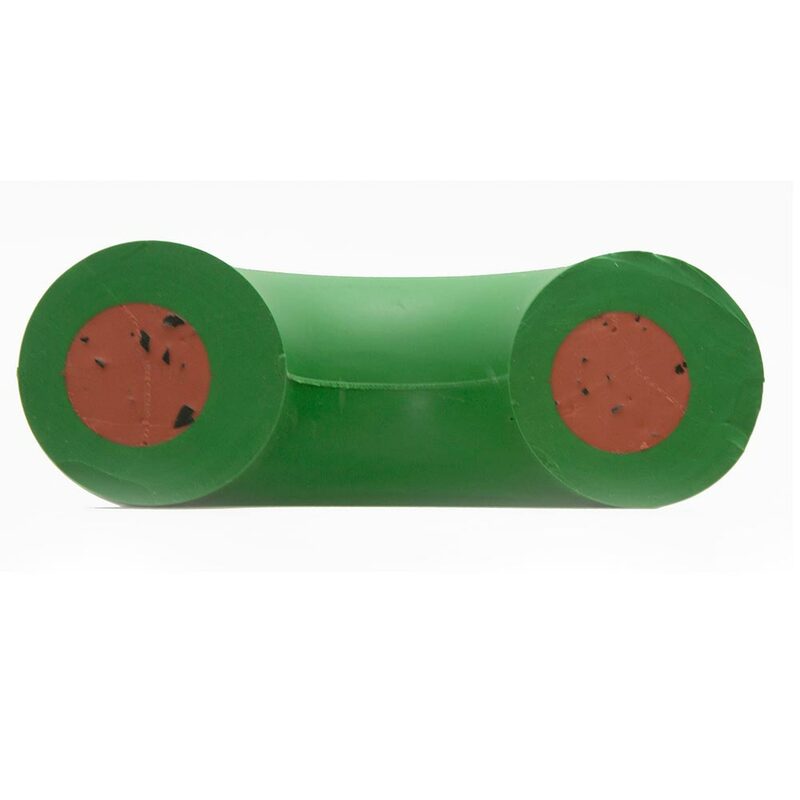 The rubber is the same recipe as used on our rings but we have marked the outside with red to show that here is not a safety indicator in this product (as again it is for interactive play versus constant chewing). In the case of the TuG we are trying to protect the person as well as the dog. 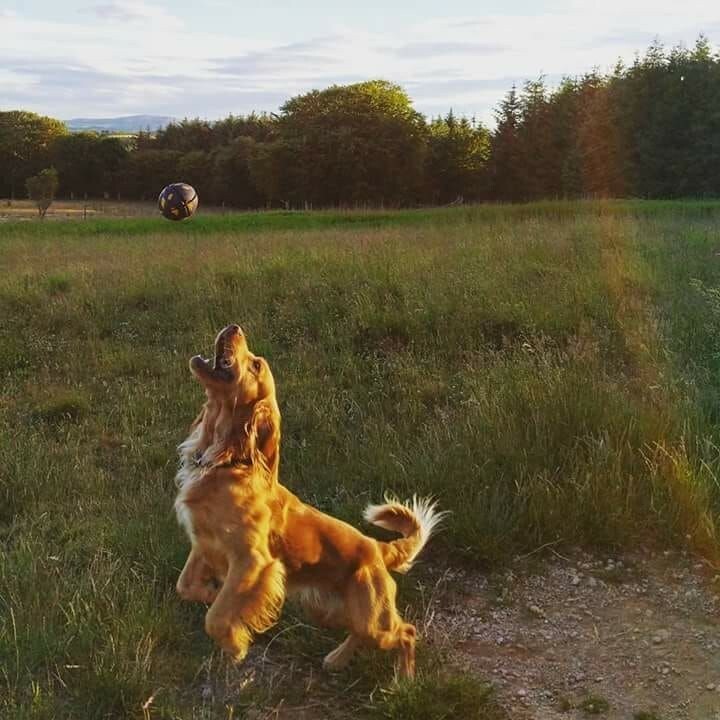 Please understand and consult a professional and or GoughNuts Team member if there are questions as to the function and safe play for you and your dog.